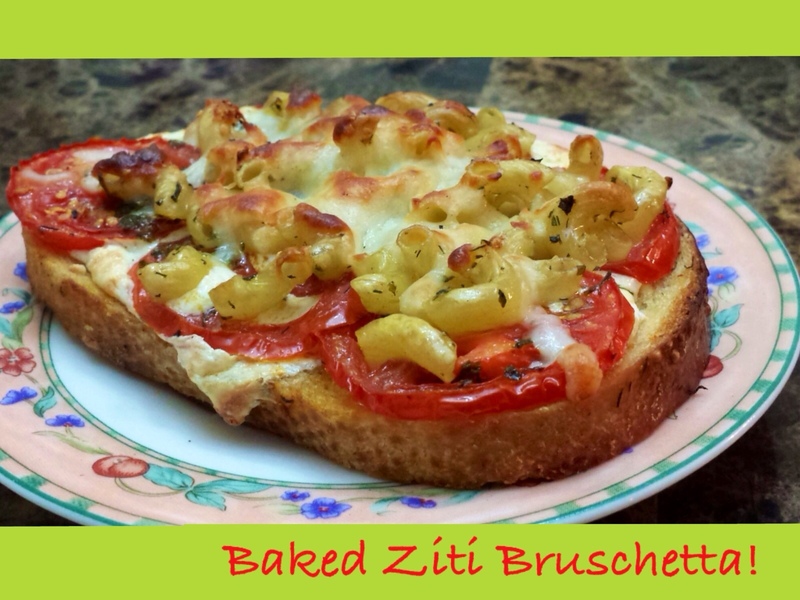 Baked Ziti translated to party finger food, now how cool is that! Drizzle a little olive oil over bread slices (I used sour dough) Top with sliced fresh mozzarella, sliced tomatoes, boiled ziti tossed in some basil pesto and finally grated mozzarella! Sprinkle with salt n pepper and bake in a 400 degree oven till golden!